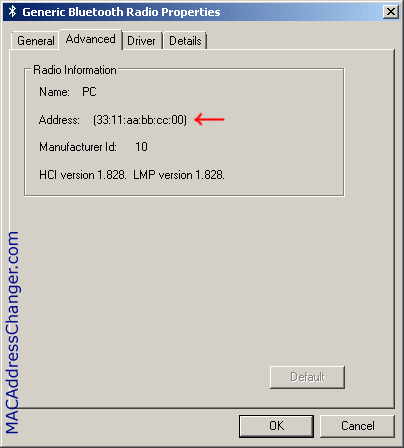 There are cases when you need to determine the Bluetooth MAC Address of your Windows PC or tablet. Bluetooth Address is usually displayed in the form of 12 hexadecimalal digits. Two different methods to obtain this information are presented below. Use the method that is more appropriate in your situation. 1. 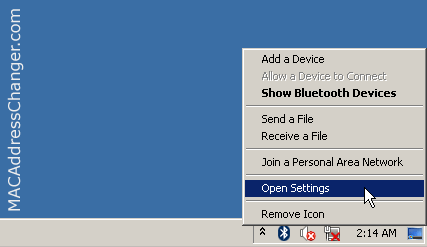 Click the Bluetooth icon in the system tray and select "Open Settings". 2. In the "Bluetooth Settings" form go to "Hardware tab". 3. 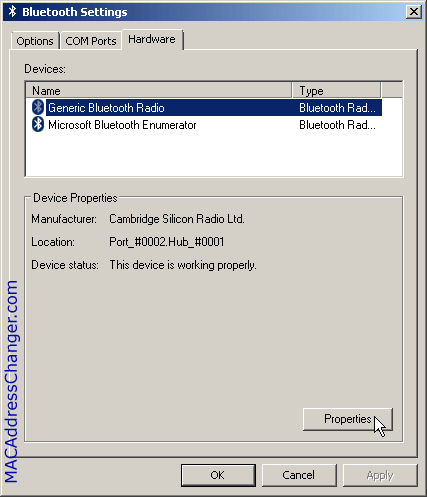 Select "Bluetooth Radio" in the Devices list and click "Properties". 4. In the "Bluetooth Radio Properties" form go to "Advanced" tab. 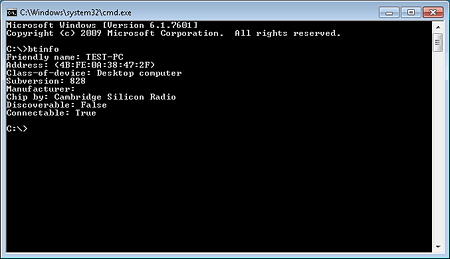 The Bluetooth MAC Address is displayed in the "Address" line. The btinfo command displays a lot of information about your bluetooth adapter, including it's MAC Address. To display only the Bluetooth MAC Address run btinfo with the "-a" switch. btinfo is not available on your system out of the box. 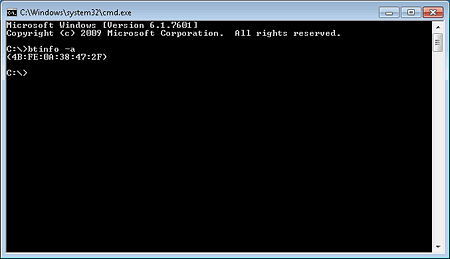 It's a part of the freeware Bluetooth command line tools suite.